how baby oden "dwells" — Pencil & Paper Co.
Hard to believe, that's my little baby, Oden almost 5 years ago! 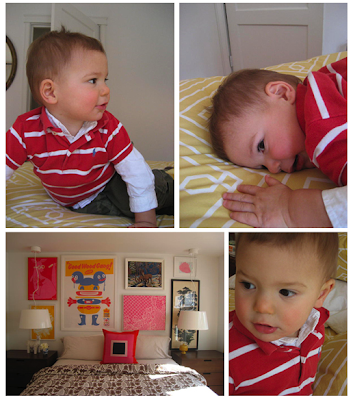 See how big he is now over at the Dwell Studio blog! Can you tell I'm wishing we had another baby in the house?